A premier lakefront location in Aspen Village. Ultimately private. Impeccably maintained. Formal living and dining spaces. Great room style kitchen, dining and family room. Granite counters, double ovens, breakfast bar, buffet and gas fireplace. The master suite is on the main level. It features a gas fireplace, walk in closet and large bath with dual vanity, corner tub, heated tile floors and rain-head shower. Upstairs you'll find 2 guest bedrooms, a full bath with dual vanity, balcony reading area and a Juliet balcony overlooking the lake. Right off the formal entry is the den - a perfect home office and TV space. The 2 car garage has a workshop area and a half bath. The home has been updated with a 50 year roof and has a new dock. The perfect spot to launch your paddle board. 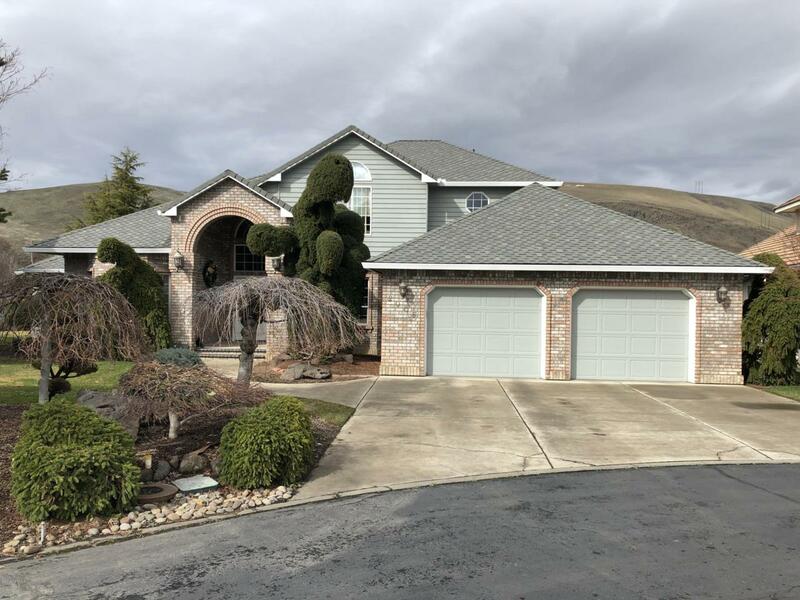 Listing provided courtesy of Ryan Beckett of Keller Williams Yakima Valley.